I actually enjoy going to my storage unit now! My storage unit for work was in Garden City for about 10 years. I just moved to Freeport a year ago and wanted something closer to home. I was nervous about moving because I got so used to the other place. I'm so happy I finally did it! I moved all my supplies about 3-4 months ago and I have no regrets. Honestly, this place is so much cleaner and nicer than any other places I looked at and even my previous storage facility. Actually, I should say super clean! No spiders so far :) It's also more modern in terms of entry systems. I love the fact that I can pull up and use an app on my phone to open the gate!! I hated punching in my code at the other place to enter and exit the grounds. The people that work at Freeport self-storage are always friendly and helpful. Happy I moved! Thank you for the outstanding review and continued business! Please let us know if there is anything we can do to further improve your experience at Freeport Self Storage. Both the new and old new building have wonderful staff always willing to assist you with questions, shipments, and moving. Recommend if you need a unit short or long term, an added bonous it’s just a quick Stop off the meadow brook . Kerry, Thank you for the wonderful review. The best and largest storage facility in the area! I’ve hd a unit with FREEPORT self storage for years for my job. Never had an issue - very clean, convenient, helpful friendly staff and now with recent renovations it’s more safe and secure with more units available than ever! 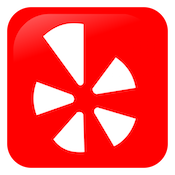 Chris, Thank you for the great review! We appreciate your continued business. Absolutely. Been a customer for many years. Friendly and professional!! Recommend the use of Freeport Storage Very friendly,professional!! Many types and sizes of compartments to choose from. Top Notch Self Storage Facility With a Great Staff! My father started using Freeport Self Storage at least twenty years ago as a "warehouse" for his food service supply and hardware distribution business. I started working with him about a dozen years ago.My Dad said he chose this place because it was the only self storage facility that would accept packages for you via UPS, USPS, FEDEX, or common carrier such as A. Duie Pyle. If you're just storing furniture or other household items, this is not a big deal. However, if you're running a business and trying to keep your overhead/rent low, this is critical! And based on the number of pharmaceutical reps and other small business owners I see coming and going, we are not the only ones utilizing this great facility as our "base of operations." We have always found the staff here to be extremely courteous and helpful. It's a family owned and operated business, which is very unusual in the self storage industry these days. Most are owned by large Real Estate Investment Trusts; in another words, faceless conglomerates with a corporate office in a low-tax state. Not the case here. Paul, the owner, is here most days, and his son David is here at least five days a week. We know if there are any problems, Paul and David will make sure it's taken care of either by them personally or their top-notch staff who are in whenever the facility is open for business. 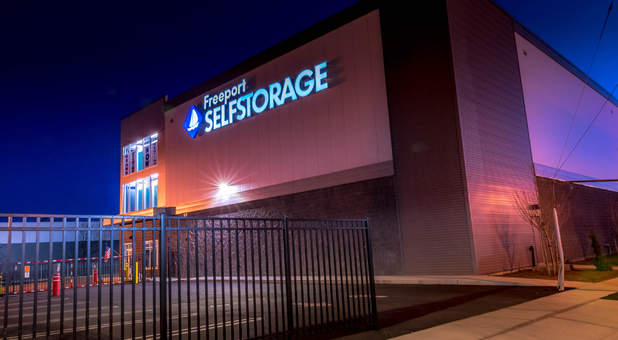 Freeport Self Storage recently completed a major expansion and we have moved our business into their new building. It's well-lighted, clean, and climate controlled with a nice new bathroom. And we were able to consolidate our two smaller units into a larger one, which will even save us money. They have also upgraded their drainage system to prevent any future flooding, a major necessity in this day and age. If you're looking for warehouse space for your business, or have simply outgrown your apartment or house and need some extra room, I highly recommend Freeport Self Storage. Thank you for the great review! It continues to be a pleasure to do business with you and your father. Thank you for your kind review. We are happy to assist you with any of your future storage needs.